The world of whiskey is vast and constantly expanding and just as the brands continue to change, so do the cocktails we make with them. While the list of great whiskey cocktails grows daily, there are a few tried and true drinks that are essential to creating a great whiskey experience. The ten drinks below showcase the vast range of whiskey and are some of the most popular whiskey cocktails today. They have been enjoyed by whiskey enthusiasts for decades. It is a perfect list for the beginner to explore the versatility that is possible with whiskey. 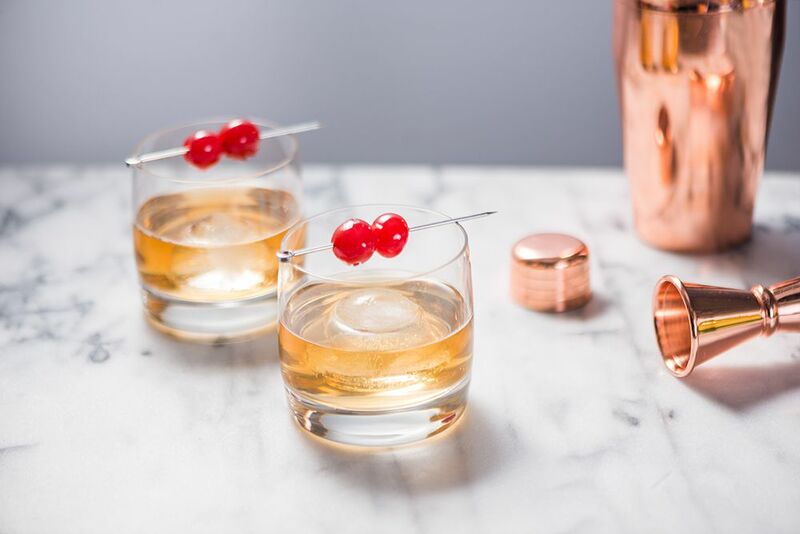 Traditionally rye whiskey (sometimes bourbon is used), bitters and sweet vermouth, this sophisticated cocktail is a great introduction to the world of whiskey. It is to whiskey what the Martini is to gin and is the base for countless cocktails. Whiskey, bitters, sugar and a splash of water make this complex cocktail seem much more simple than it is. Experiment with the type of whiskey used in this to see how flexible this drink can be. Bourbons are often preferred, but rye whiskey makes a great Old-fashioned as well. Essentially just whiskey, lemon or lime juice and simple syrup, the tartness of the citrus is a wonderful match to some of the sweet notes in whiskey. This is a perfectly easy drink that works with a great variety of whiskies. Imagine a Whiskey Sour with club soda and you have the John Collins. Unsure of whether to order a Tom Collins or a John Collins at the bar? Specify the liquor type or brand and 'collins' and the bartender will understand you (i.e. whiskey collins). Perfect for a cold winter night or after a good meal, an Irish coffee is simply coffee, Irish whiskey, sugar and a touch of whipped cream. It is one of the best ways to enjoy your whiskey and coffee, too. An essential for those wishing to advance their whiskey experience, the Mint Julep is one of the freshest cocktails you can find. Fresh mint, your favorite bourbon, and a little work with the muddler and it's done. I prefer a light Canadian whiskey like Canadian Mist for this drink which also includes pineapple juice and dry vermouth. Surprisingly complex for a three-ingredient drink. It is a fun spin on the average whiskey drink and will surprise you on that first sip. From cowboy bars and NASCAR races to trendy restaurants, the Jack and Coke is one of the most popular cocktails in America. Simply Jack Daniels and Coca-Cola, the combination is classic Americana in a glass. 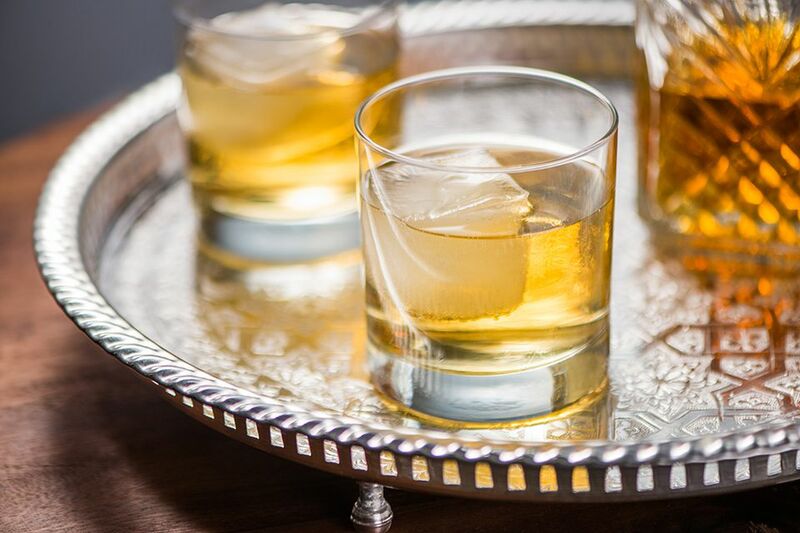 The Highball is yet another simple two-ingredient mixed drink and it is a tall, refreshing way to enjoy your favorite whiskey. Blended whiskies, rye whiskey, and bourbons go perfectly with the ginger ale. One shot of Jameson’s Irish whiskey, one shot of pickle juice. Originated by Brooklyn hipsters, the pickleback has become a recent phenomenon in bars and restaurants throughout the country. Surprisingly easy to drink.